Looking for the perfect dish to bring to that Memorial Day bbq? Look no further! 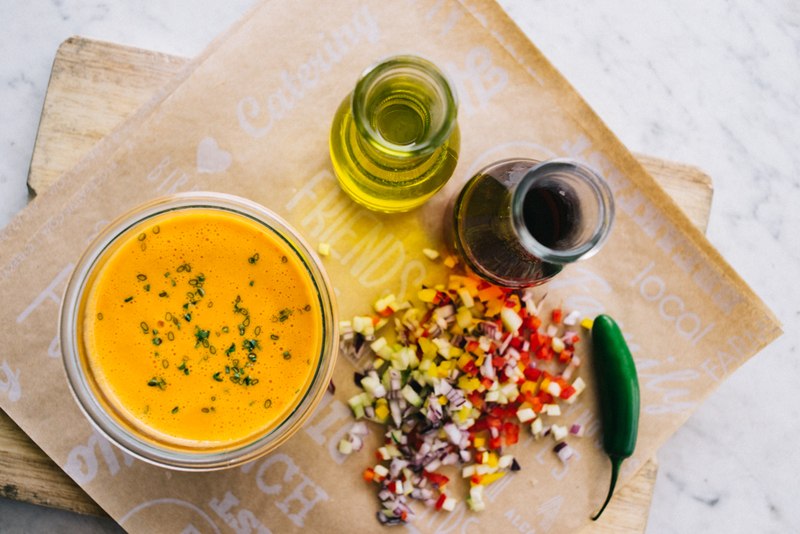 This gazpacho is so delicious I don't even know where to begin! It's got great zesty flavors, a little spice, it's pretty darn healthy for ya AND it's chilled! 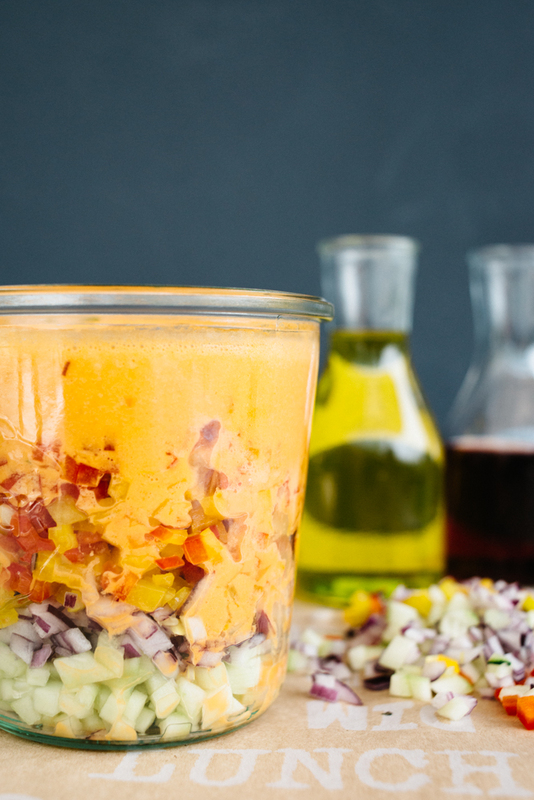 You can serve it in mini glasses for gazpacho shooter appetizers or in larger bowls for a side dish! *read on for the recipe! - In a blender combine, 2 heirloom tomatoes, 1/2 cucumber, the center of both peppers, 1/2 onion, 1 garlic clove, and 1/2 serrano chile pepper, red wine vinegar and olive oil. - Add salt and pepper to taste, starting with a pinch. - Dice 2 heirloom tomatoes, 1/2 onion, 1/2 serrano pepper, 1 red pepper, 1 yellow pepper and 1 cucumber. 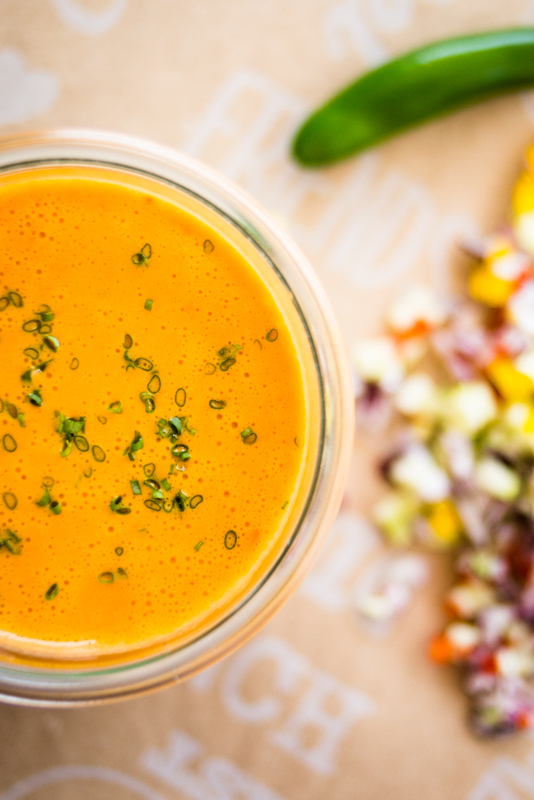 - Gazpacho can be served immediately, but we prefer it chilled! - When you are ready to serve combine garnish and gazpacho as you are serving or in pre portioned containers. 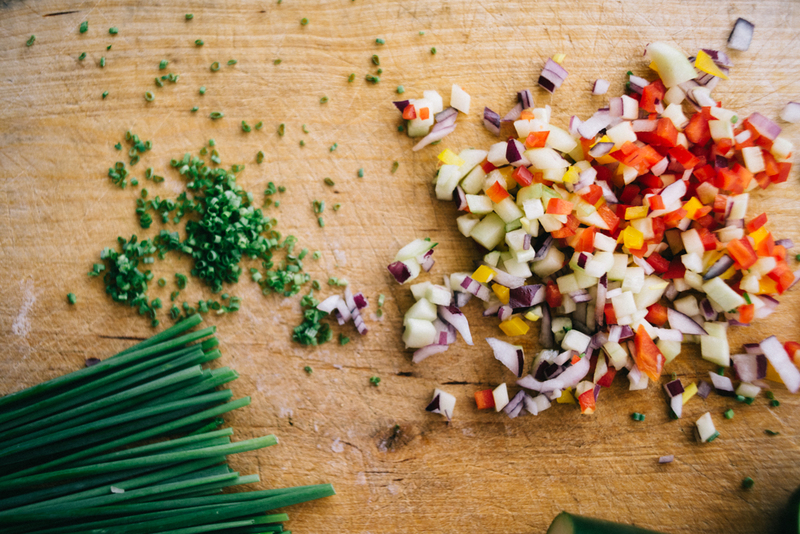 - Sprinkle with green onion.